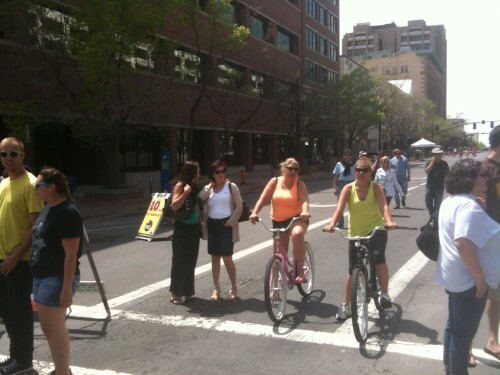 Salt Lake City's Open Streets will be held on May 31, 2015. May 29, 2015 – The Salt Lake City Open Streets Festival is happening this Sunday, May 31, 2015, from 11 am to 3 pm. Open Streets, similar to Ciclovias, are events where the street is closed off to automobile traffic, and the public is can make use of the space for cycling, walking, yoga, dance, music, and more. The Salt Lake City event will be held on 900 South from 200 West to 600 East and Liberty Park. Additionally, the Tour de Brewtah will be happening at the same time. The casual ride will be raising money for the Salt Lake City Bicycle Collective. It will be approximately 15-20 miles in length and will feature craft beers or non-alcoholic beverages at the end at the Festival. The event will highlight the 9-Line bike pathway and will feature food trucks, booths, music and art performances, dance classes, and more. Visit www.slcgov.com/openstreets to learn more about Open Streets Salt Lake City and tourdebrewtah.org for more on the Tour de Brewtah. 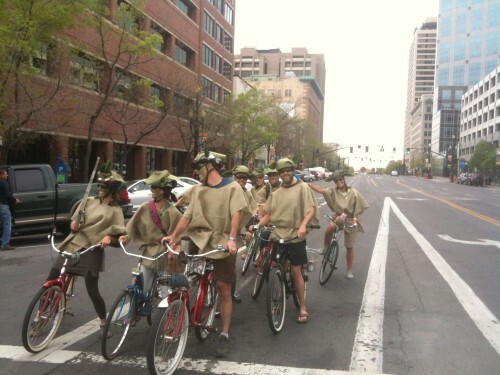 The Tour de Brewtah will be held in conjunction with Salt Lake City's Open Streets on May 31, 2015.